What is the impact of workload on performance? Human performance is an inverted “U” shaped function with workload, where either too high or too low workload degrades performance. However, through modification of other variables (e.g., training, graphics, job aids, etc. ), workload can be manipulated. The Center has focused its research efforts so far to gain insight and answers in these areas. 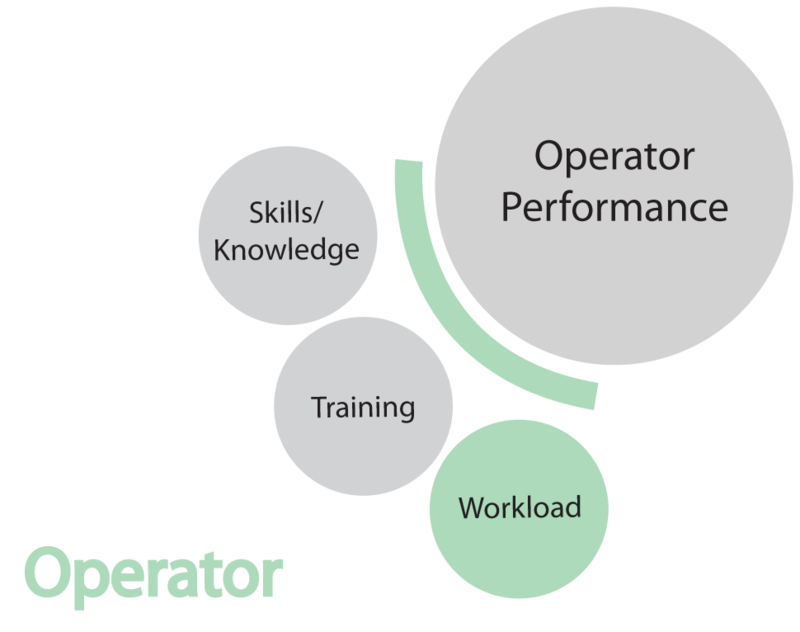 What is average workload for a board operator? What are the contributors to operator workload and how can it be modified? How should work be allocated between the board and field, especially in light of newer hand-held technology?